When you think of hair care professionals, Toni & Guy is sure to be a brand that comes to mind. 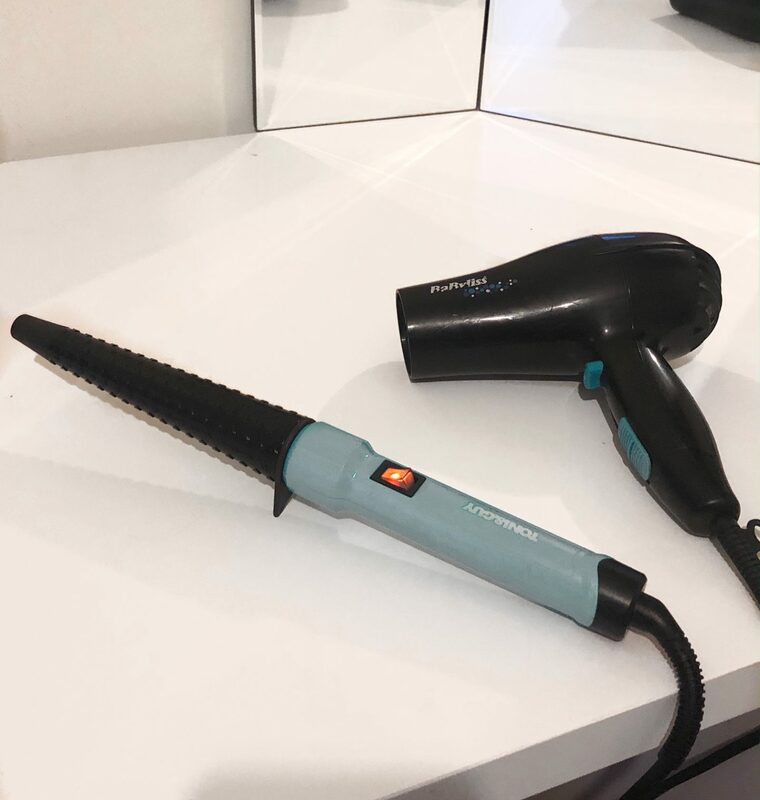 For me, my auntie used to work for them and I’ve always trusted their products for as long as I can remember so to have had the opportunity to try out a product from their new range was a real ‘pinch me’ moment. 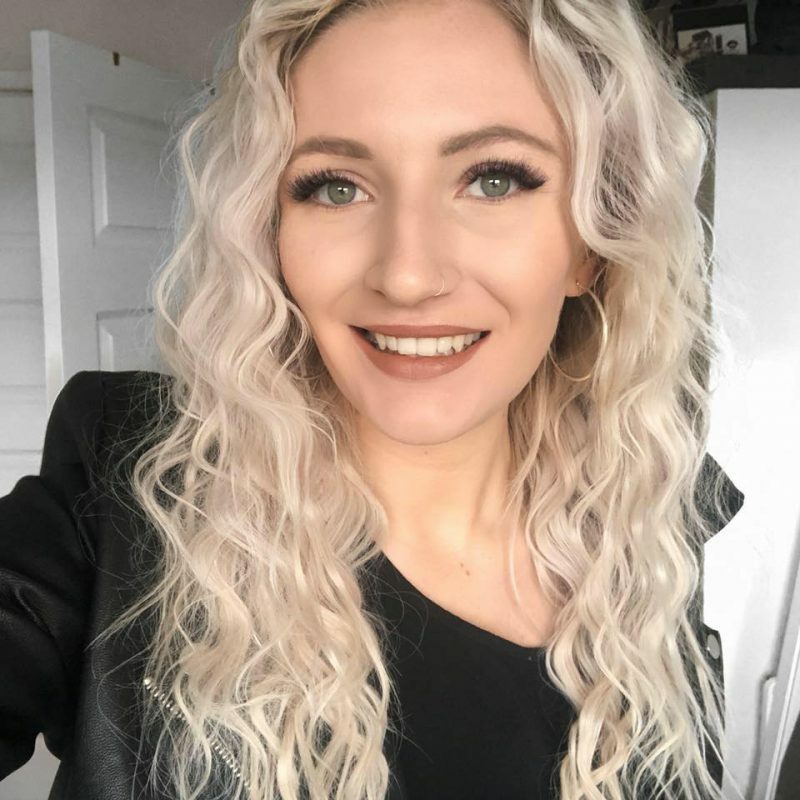 I was recommended the Toni & Guy Curl Squad Textured Styler over the others as this creates a natural large to small curl (something none of my curlers offer) and is made to create gorgeous beachy waves; think Caroline Flack Love Island. Who doesn’t have hair envy for the Flack? 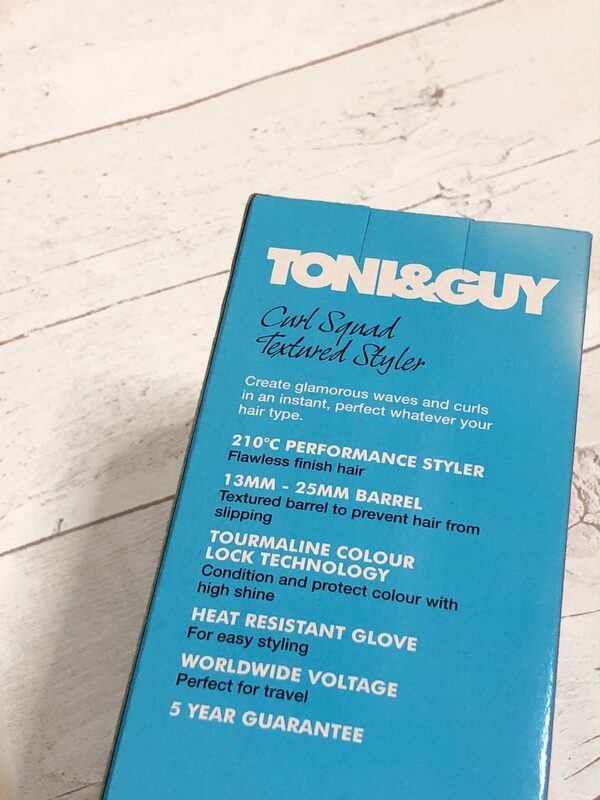 The Toni & Guy Curl Squad Textured Styler heated up really quickly and even has a built-in stand so your surfaces won’t be affected; you can also use a heat protection mat underneath should you desire but especially if you’re travelling, that isn’t always an option. 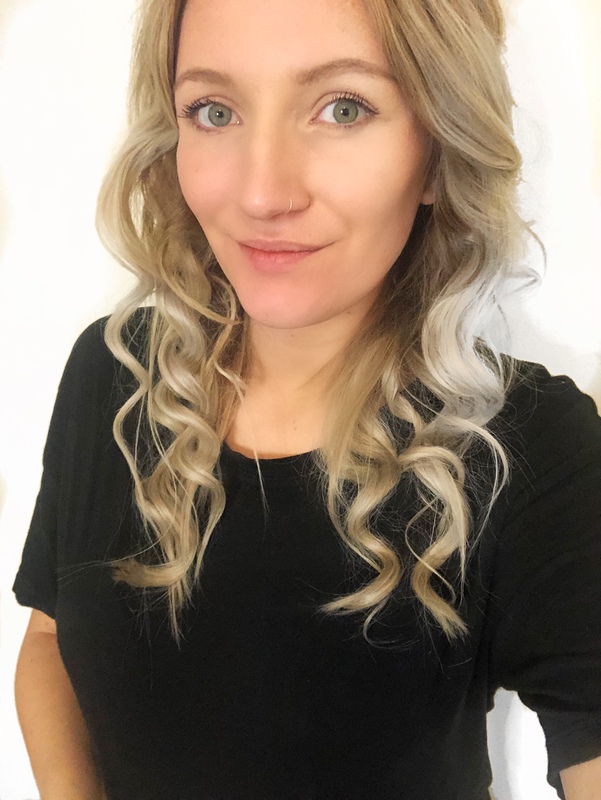 Once heated, I wrapped my hair around the large section of the Toni & Guy Curl Squad Textured Styler and descending my hair from the largest to the smallest end of the barrel. I did this whilst using the heat protection glove so I could get the ends right to the bottom for an all over, even curl. 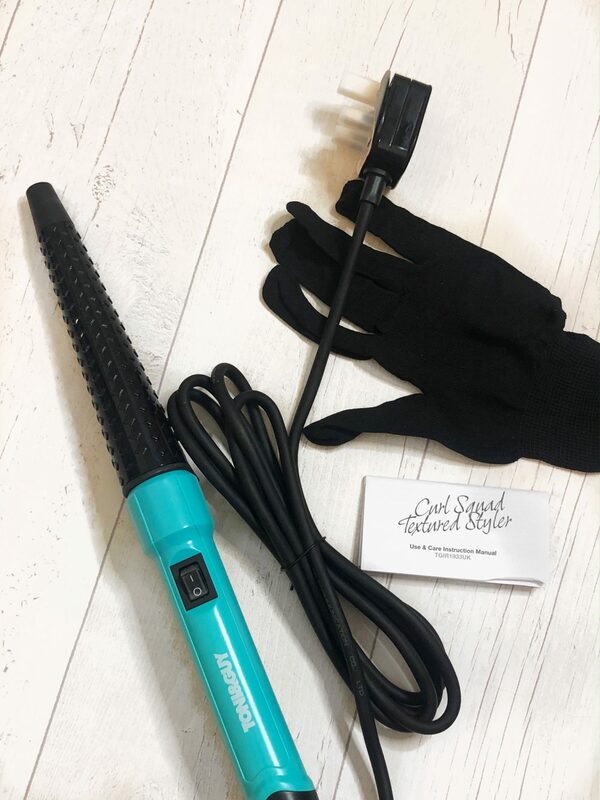 The built-in diamond detailing on the Toni & Guy Curl Squad Textured Styler curler gives your hair a natural texture and the end result really is an effortless beach wave look as promised. To go from my flat, straight hair to the curls you see below took only 15 minutes; I picked up different sized sections to create an overall messy look but for someone that was a total rookie when it came to curling my hair, I found these were super simple to use and I really do love the finish. The more I use them, the better I’ll get too and I’d love to get the routine down to 10 minutes to make this an achievable everyday look before I head off to work. 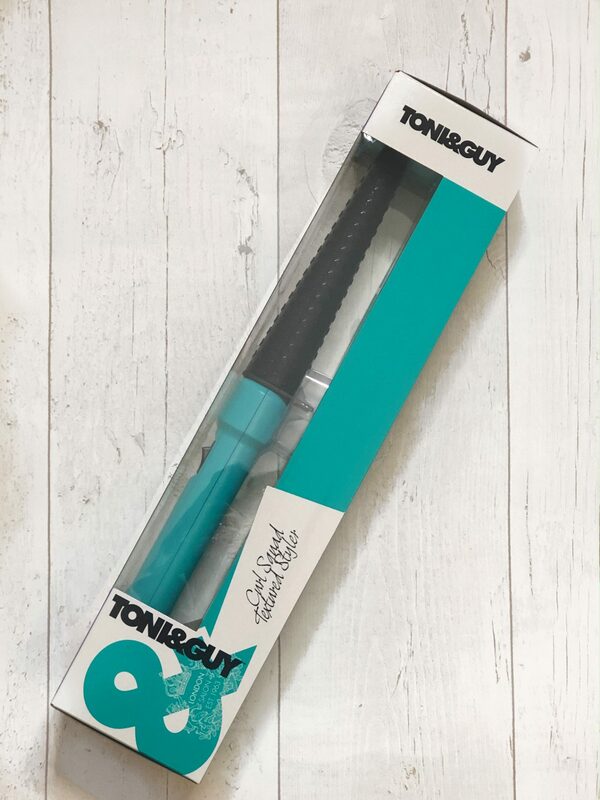 The Toni & Guy Curl Squad Textured Styler was definitely the best choice for me and my hair but there are so many different wand options for the same price there really is something for everyone. This styler retails at £39.99 which I think is really affordable for the quality of the products. You also get a 5 year guarantee on all of their new range so even if you use it daily, you know it’s a worthwhile investment to get drop dead gorgeous curls. If a beginner like me can use this product with ease and have results that lasted ages in my hair, I’m sure this is a range you’ll definitely want to consider for upping your hair routine this year. What’s your favourite curling product? I’d love to know. *this product was sent to me in exchange for an honest review, all opinions are always my own, please see my full disclaimer for more information.